Blood is a brutal bond. 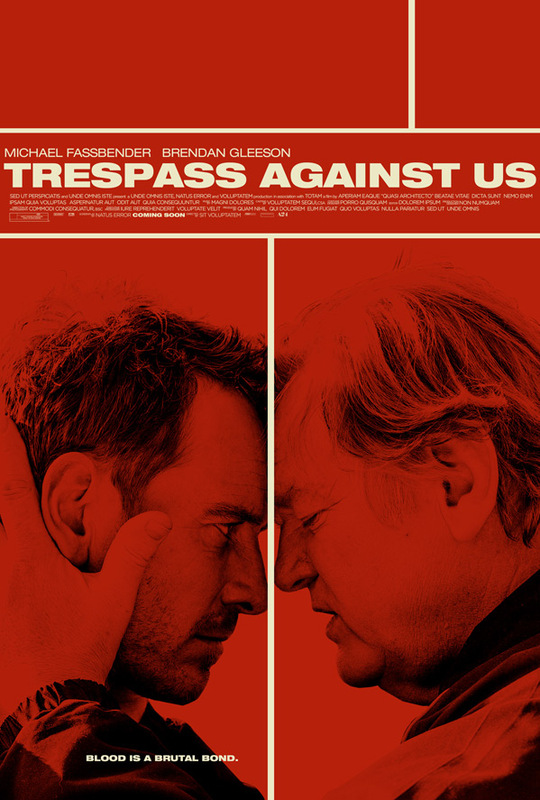 A24 has unveiled a trailer for an indie crime drama from England titled Trespass Against Us, which just premiered at the Toronto Film Festival earlier this month. The film stars Michael Fassbender as a man trying desperately to escape the dangerous criminal world presided over by his savage father, played by Brendan Gleeson. The cast includes Rory Kinnear, Sean Harris, Lyndsey Marshal, Killian Scott and Georgie Smith. Not only does this look like a solid crime thriller with plenty to offer in terms of action and drama, but it also has an "astonishing" score by The Chemical Brothers to top it off. Gleeson, Fassbender and The Chemical Brothers pretty much has me sold no matter what. The car chases look like they might be the best part, but I'm definitely interested in seeing this anyway. Fire this up. Set across three generations of the Cutler family who live as outlaws in their own anarchic corner of Britain's richest countryside. Chad Cutler (Fassbender) is heir apparent to his bruising criminal father, Colby (Gleeson) and has been groomed to spend his life hunting, thieving and tormenting the police. But with his own son, Tyson (Smith) coming of age, Chad soon finds himself locked in a battle with his father for the future of his young family. When Colby learns of Chad's dreams for another life he sets out to tie his son and grandson into the archaic order that has bound the Cutler family for generations. He engineers a spectacular piece of criminal business involving a heist, a high-speed car chase and a manhunt, which leaves Chad bruised and bloodied and with his very freedom at stake. Trespass Against Us is directed by filmmaker Adam Smith making his feature debut, from a screenplay written by Alastair Siddons. The film just premiered at the Toronto Film Festival. A24 will open Trespass Against Us in select theaters early 2017. Seems good. I don't think these two guys are capable of making a real stinker at this point. The Chemical Brothers are quite the score for this film as well. HANNA was so freaking good. I can watch Gleeson's face for two hours. You forgot Kingdom of heavens.